Words by Kevin Doocey on August 8, 2010 . We all know, or should do that Hatem Ben Arfa hasn’t been outstanding at Marseille since he moved there and his attitude has been a major stumbling block for both the club and himself. In the last week or so, we’ve been strenuously linked with the Frenchman, and even with my sheer disgust of French footballers of the modern setup, I would sincerely love to see the Tunisian born Ben Arfa wear Black and White this season. 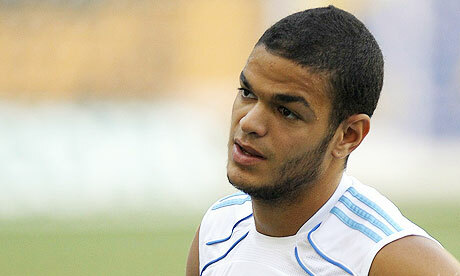 In fact, Tyne Time were one of if not the, first ‘blogs to report on our rejected bid for Ben Arfa five days ago. We bid £400,000 for a season long loan for the man who cost Marseille an initial €10m with future fees. However, the French club want the guts of £1m before the allow the lad land on English soil. Indeed it’s quite encouraging to see that Ben Arfa wants to play in England, according to reports anyway. We know AC Milan were interested in him, but can’t arrange a deal at the minute, whilst Hoffenheim were also in the hunt, and willing to offer his value of about €8m. You’ll have every teen that has played Football Manager vying for this guys signature, but I just have a really good feeling about him, if he does finalise a move to Tyneside. Chris Hughton will have to lay down the law to the guy straight away and tell him exactly where he stands at Newcastle United. In fact, I really think Hughton could get the best out of Ben Arfa, having worked with youth players for years on end before joining Newcastle United as assistant manager. Now the Irishman has the chance to have a full run at the Premier League, not his former task of trying to pick up unenthusiastic over-paid ‘stars’ inbetween new managers. Chris will need the full season, and there’s no better man for the job. The reality is, we could very well be in the bottom three come May, and may indeed suffere relegation. Saying that, we’re well capable of staying up and additions like Ben Arfa be it on-loan or permanent, are the players to keep us up. Now I know there’s work to be done with Hatem, and many people are posing the question already as to how he will get along with Joey Barton, of if they will whatsoever. We needn’t worry about that just yet though, as signing the Frenchman is our first priority. If we can get Ben Arfa, a cover LB and a much needed creative striker, then we’ll be in very good shape for September. There’s also reports that Sunderland have beaten us to Danny Welbeck, but whether we were in for him at any stage is another question. That said, don’t be surprised if you see a couple of other English clubs enter the Ben Arfa fray, let’s just hope we get him.